Thomson Reuters has teamed-up with Legal Geek to help advance innovation and collaboration within the LawTech startup community. The move follows Thomson Reuters support for the Legal Geek startup map and the inaugural and highly successful Legal Geek conference held in London’s Brick Lane last year. Rapid technological innovation continues to shake up the legal services industry, and LawTech startups have the potential to compete with, as well as to enhance, existing legal services offerings. Many startups aren’t innovating in isolation and value partnerships and collaboration with well-established companies, including law firms and legal information and technology businesses such as Thomson Reuters. However, knowing where to even begin when looking for support, advice or collaboration with established companies can be daunting for startups. The collaboration between Thomson Reuters and Legal Geek is intended to ensure startups have a clear point of entry to engage with the legal industry It includes a number of initiatives and events such as meet-ups focused on disruptive technology, a reverse-pitch event and will culminate in the October 17 Legal Geek conference, sponsored by Thomson Reuters, and now expected to draw a crowd of more than 1,000 attendees. 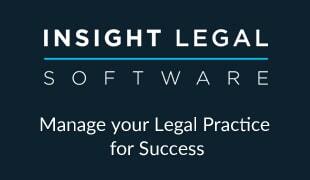 Legal Geek hosted the first conference for Legal start-ups in London in 2016. It focused on the disruptive forces shaping today’s legal services industry and brought together tech start-ups, supporters, investors and early adopters with the aim of making London the next global legal tech hub. Thomson Reuters has created Labs™ around the world in order to collaborate with customers to solve real-world problems and rapidly prototype and validate solutions using advanced data analytics, machine intelligence, and natural language processing. Working with external partners, Thomson Reuters Labs are active members of regional innovation ecosystems, delivering world-class solutions for customers. To see an example of how Thomson Reuters has partnered with startups in the legal industry, read about its engagement with Toronto-based startup, Blue J Legal.